… and for tonight? 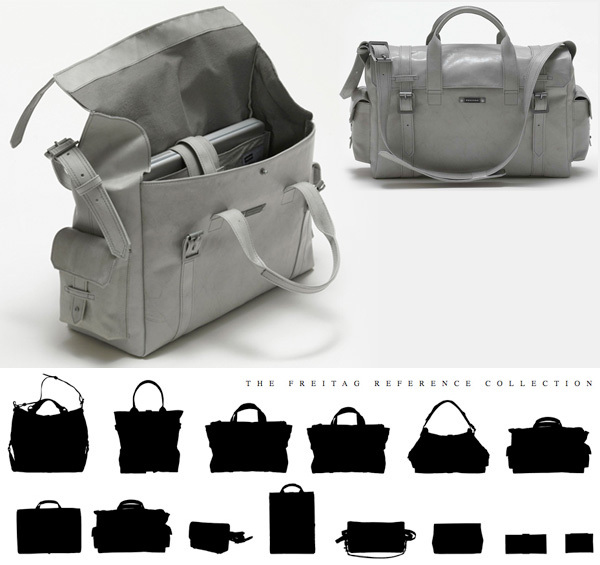 I just wanted to leave you with one of my latest happy inspiration obsessions. 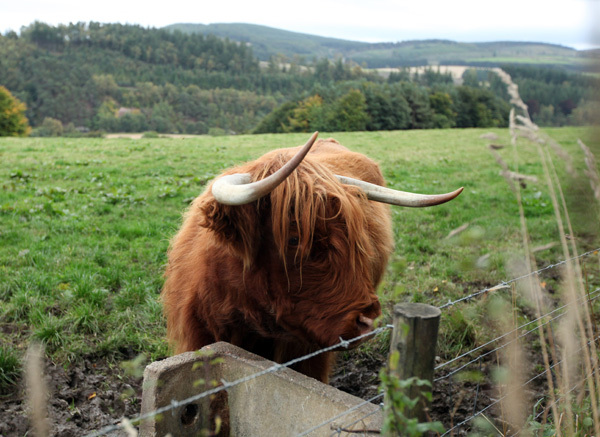 Highland Cows! On the next page you can see some of my various run ins with them over the last week and a half. Brown ones, white ones, black ones, light brown ones… big ones and little ones, HUGE ones on bridges in the dark, and close ups with The Macallan herd as well… they just have the most adorably shaggy coats (which keeping them warm, means they have super lean meat)… the emo-est moppy hair that flops over their eyes… and apparently they are quite docile and are some of the smartest bovines! Anyhow, i’m off to sleep, but check out the pics on the next page! 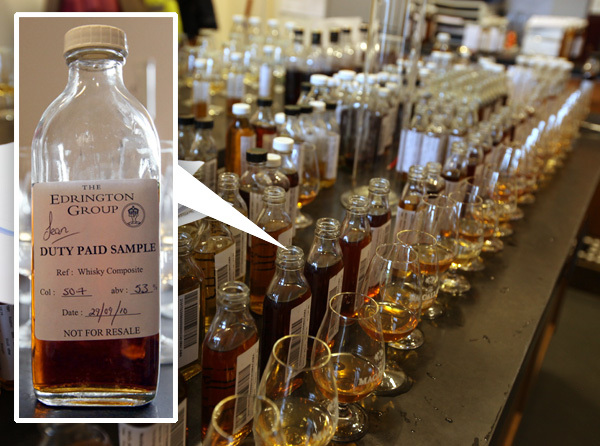 Here’s the forth post in our Inspiration series! Sponsored by Veer.com ~ we get to have some fun and go image researching across the internet around random themes inspiring us at the moment.. and share what we find! 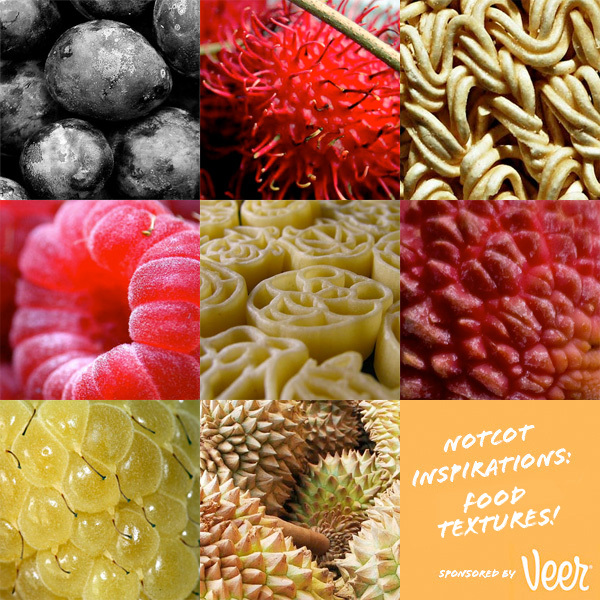 This time fascination with food textures close up has lead to this album being made on Veer!!! 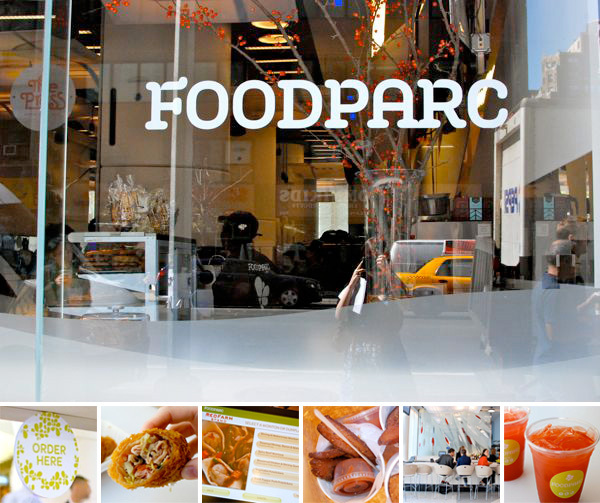 And leo helped round up some amazing close up looks at food close up that’s been inspiring us across the web ~ perhaps its Tasteologie that has food on the mind lately ~ but the intersection of food and design is so beautifully inspiring! See it all on the next page! 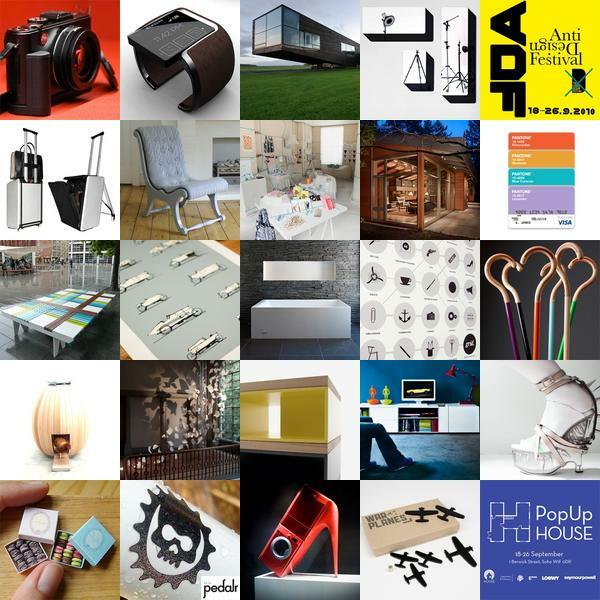 Another stunning week means another stunning roundup of design goodness from NOTCOT.org. To find out more about each post, click its individual image. 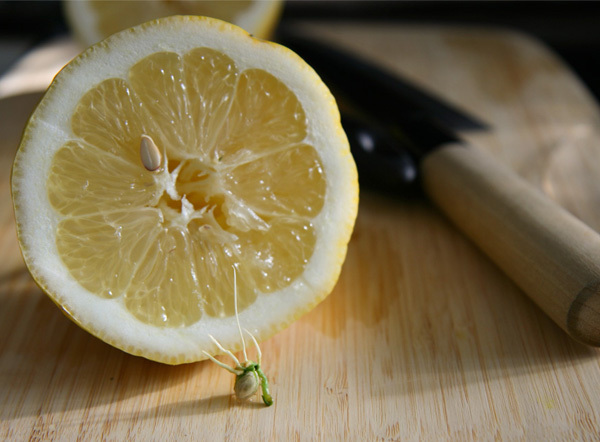 Yes, lemon seeds sometimes sprout INSIDE the humongous lemons on my lemon tree back in LA. Just got these pics from Linhchi over there of the THIRD lemon we’ve found this happen in. (Remember the first one?) This time it is even sprouting some serious roots… so i had to share the pics as i stare in amazement. We’re debating whether to plant it in the ground, or try to stick it back in the lemon to see how much further it will go… see more pics on the next page! Update - it’s incredible! She found 3 more in the next 5 she cut ~ and they have multiple sprouts going! She is the sproutmaster. Took a little walk down to the British School of Falconry at Gleneagles today (ok, so, i crossed the maze of hedges - seriously, like a maze for kids to play in - and the tennis courts, and was at the falconry school!) ~ and it was absolutely mesmerizing watching the birds that were out in the viewing cages! So gorgeous… there’s something incredibly inspiring about these stunning birds of prey… also, i realized they almost always look sad/angry, but do make some impressively stern expressions… and i took a ton of pics. 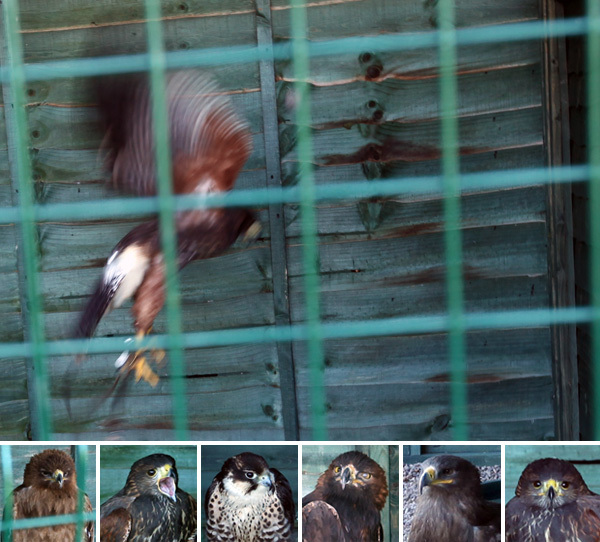 There are Steppe Eagles, Golden Eagles, Peregrine Falcons, and Harris Hawks. Go take a peek on the next page for some falconry fun! 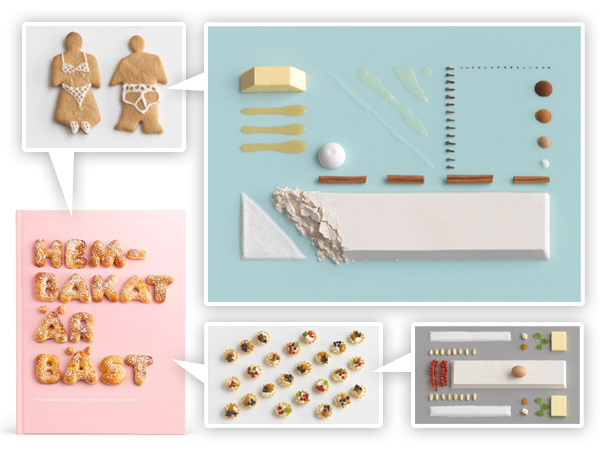 Apparently IKEA has released what may be the coolest styled ingredients cookbook ~ “Hembakat är Bäst” (Homemade is Best). 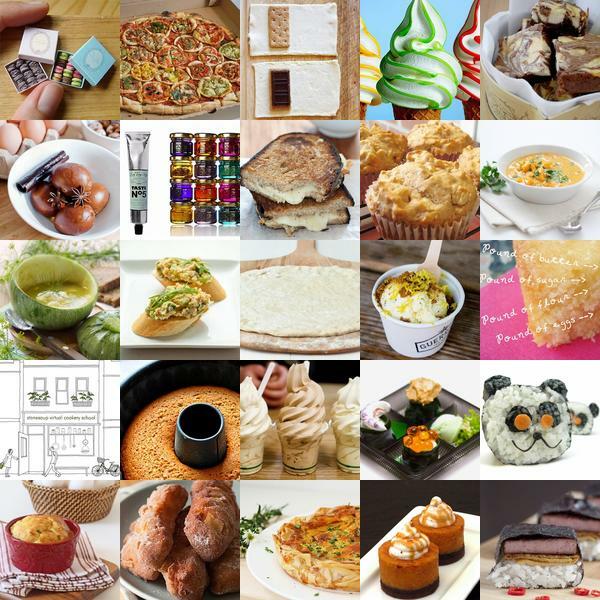 Filled with 30 recipes for baked goodies broken down by ingredient… i’d love to see this in person! Rumor has it that it’s free in swedish IKEAs? (Anyone have one? or an extra?) The photos by Carl Kleiner are absolutely amazing! Don’t laugh, but its been quite the mystery guessing from the precise geometrically laid out ingredients what these pictures might MAKE! So much google image searching as i guess and see! 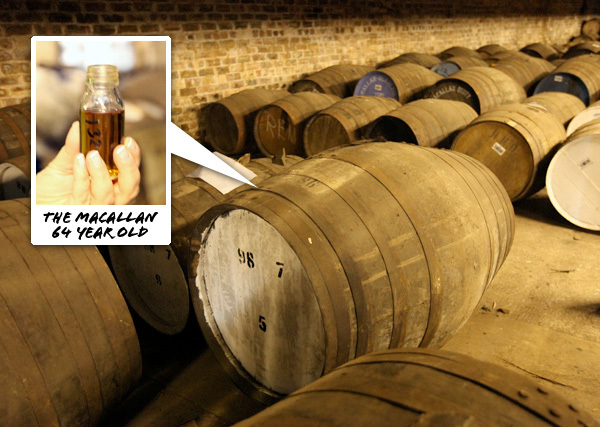 (Don’t worry, i’ve put the google image search links in for you, so you can play along at home as well!) See the images i found at Carl Kleiner’s site on the next page ~ and if you have a copy, or can help me find a copy, do drop me a comment? Thanks!!! 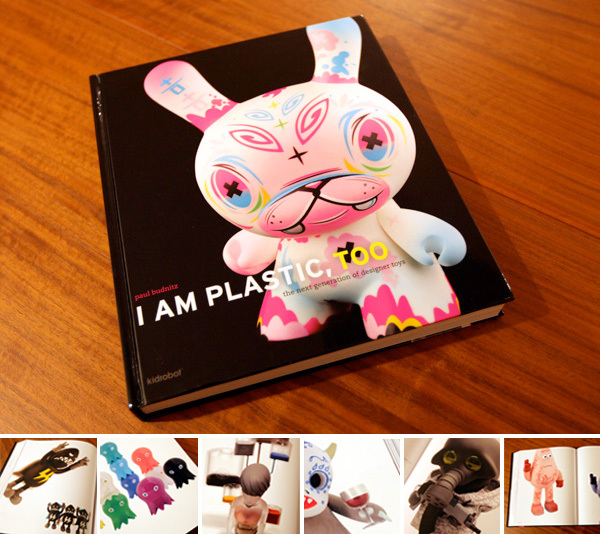 Paul Budnitz’s I Am Plastic, Too is like a who’s who of toys. Everyone’s in there And the photographs are so beautiful, for all the collectibles/art pieces you may have missed, or didn’t have room on the shelf for, you can admire them for eternity in his second book. It’s no surprise that the founder of Kidrobot has issued what looks like the ultimate glossy toy yearbook… so many NOTCOT friends and favorites are included from the Rocketworld guys to Andy Bell to Amanda Visell to Joe Ledbetter to…. really there are too many to name, and too many gorgeous pages in the book… so i tried to take pics of things that excited me as i flipped through it! In addition to rounding up some of the best toys of the year, there are also interviews scattered throughout the book with various artists. And as such a lovely coffee table book, definitely adding this one to the gift list for any toy art lover! Take a browse through the book with me on the next page! Beautiful! 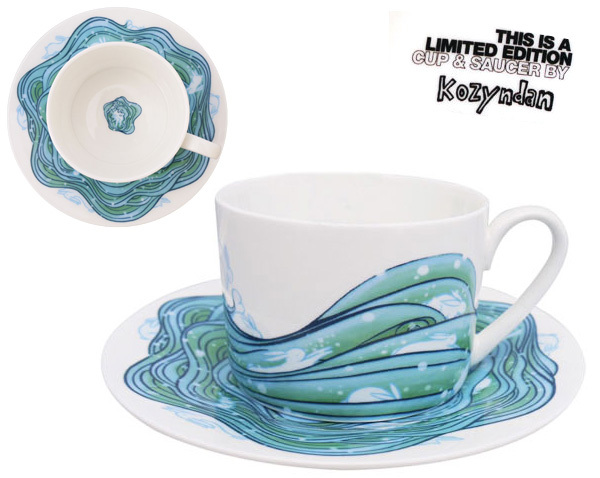 What cup of coffee or tea wouldn’t transcend being a mere drink (as delicious as it may be) when served in this cup and saucer? Especially when you reach the sad end of the cup, only to find that last little splash of the bunny whirlpool? Previously, came the Click for Art espresso cups & saucers, which i adore at home! And this second series, they are going for larger tea/coffee cups & saucers! First releases in series 2 are Kozyndan “Sea Hares”, Ron English “Abraham Obama”, and Jon Burgerman “In the Park” ~ each being made in a limited edition run of 250 by ClickForArt. Like the previous set, they come beautifully boxed and with a little limited edition signed print… see more pictures on the next page! 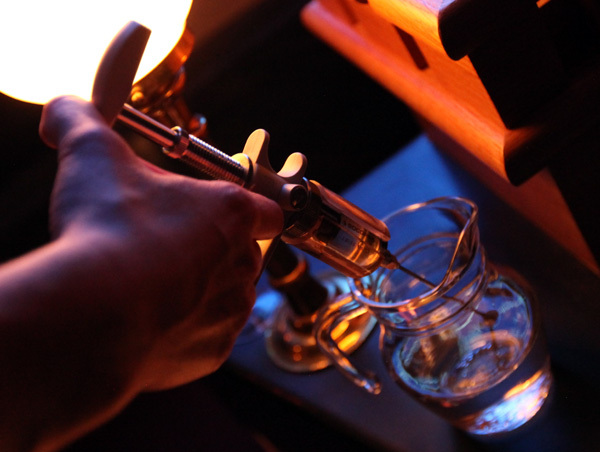 Drool over another gorgeous week at Liqurious with our biweekly roundup. 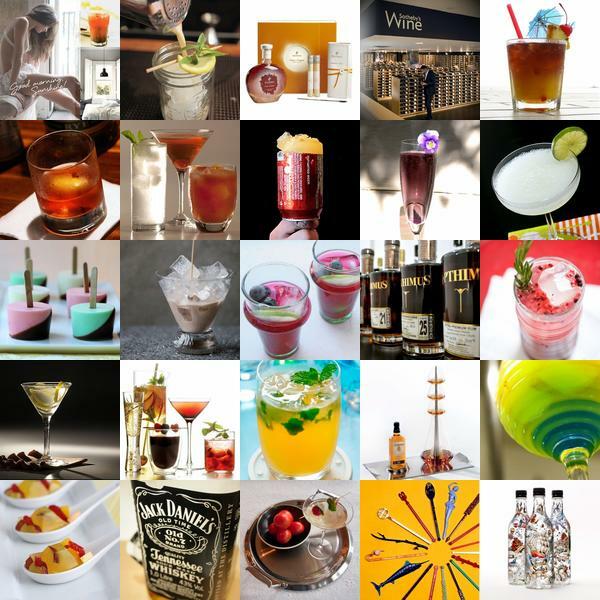 To find out more about each delectable drink, just click the individual image.